A full video lesson tutorial for Prelude No. 4 by Heitor Villa-Lobos (1887-1959) for classical guitar. I go through the four main sections, discussing the piece and demonstrating. This is a great piece for both pros and students. In particular, I like using this piece to transition students from the intermediate stage to a more mature and advanced level of repertoire. Sheet Music: I recommend this edition: Villa-Lobos Preludes (Zigante). 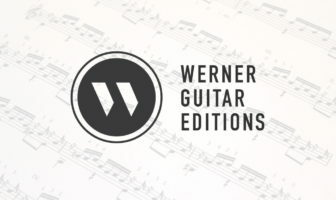 Or you can get the old version (some differences and errors) but has the complete solo works including the preludes, suite, and etudes: Villa-Lobos complete works for solo guitar. Also check out this great performance by Isaac Bustos playing the same Prelude No. 4 in E Minor.